The Member Services Director is responsible for ensuring that the physical, psychological, and social needs of the members are met. A key success factor for this position is the ability to be self-directed, highly motivated and hands-on across a wide area of responsibilities. The Member Services Director is the primary community liaison and is expected to recruit new members and build relationships with members, volunteers and representatives of the organization. Please complete the Application Form and send Resume to mwosflelections@gmail.com. This ideal candidate is someone who is very outgoing and socially aware with diverse experience, great capacity and desire for taking on new responsibilities and challenges as the organization grows. Actively recruit new members and volunteers with diverse backgrounds, cultures and interests. Coordinate volunteer trainings and meetings and help to ensure that events go smoothly. Responsible for event attendance tracking. Conduct regular membership needs assessment and report suggestions to the Board. Maintain database to track member skills and interests. Update email database with new member contact information. Proactively recruit members and volunteers for project leadership and committee involvement. Liaison to the masjid representatives and assist with outreach. Responsible for Youth Services engagement. Record keeping of all high school and middle school community service hours. Procuring MWO promotional items (t-shirts, etc). Perform any other tasks as directed by the President. Adhere to all MWOSFL Vision, Mission, Bylaws and Board Member Policies & Procedures. Minimum of 2 years working in a professional environment. Proficient in using Microsoft (Excel, Word) and Google Drive. Strong attention to detail and a drive for excellence in all work products. Ability to communicate effectively in English (written and verbal). Ability to self-manage time, priorities, and responsibilities in order to meet MWOSFL deadlines. Must be able to respond timely to emails and deadlines. 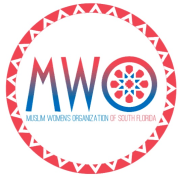 One year experience working with the South Florida Muslim community at an organization level (e.g. Masjid, Islamic non-profit, or Islamic school representative). One year experience working on community service projects in South Florida. Candidate must not currently serve on more than one other Islamic Organization’s Board. Must be able to dedicate 20 hours per month for MWOSFL activities and meetings, including attendance at monthly 2 hour (in person) board meetings, at minimum. Some weekend and evening attendance will be required throughout the year. This position is a 3 year term. Must provide Resume and 3 References (no family or relatives). Must be interviewed by the Election Committee. Project management skills, is highly preferable. Ability to multi-task and to manage and delegate tasks to members and volunteers. Ability to document procedures and workflow and to follow them. A team player and flexible to changes within the organization.